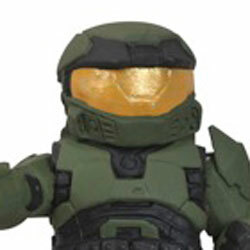 Halo is a decade old, and to celebrate to occasion, Diamond Select Toys has announced a special set of Halo Minimates. 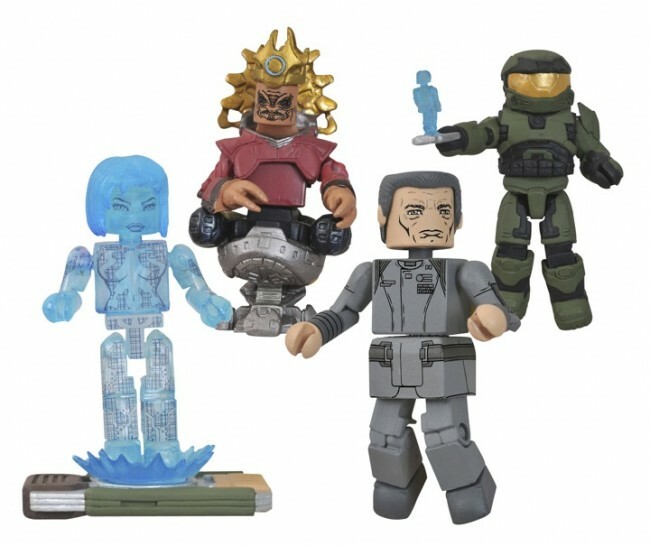 The Series 4 box set will include two-inch block figures of Cortana (with data crystal chip base), Master Chief (with his own tiny Cortana and data crystal chip), Jacob Keys and the Prophet of Truth. The set arrives in specialty stores this winter.